Jenny Volpe is executive director of Make Way for Books-the Early Literacy Resource Center for Southern Arizona, a Tucson-based nonprofit organization that serves 31,000 children, parents, and educators each year. Jenny is passionate about helping children gain access to quality educational opportunities and believes in the power of literacy to change lives. In her work with Make Way for Books for the past six years, she has dedicated her time working to ensure that children in our community have access to early literacy services, are prepared to succeed the moment they step into the classroom, and have the chance to realize their fullest potential. Jenny holds a bachelor of arts in literature and education from The University of Chicago and a master’s in education from the Johns Hopkins University. Believing in education as a means to achieve social change, Jenny began her educational career as a Teach For America teacher and taught elementary school for five years before entering the educational publishing world and nonprofit sectors. Jenny has spent considerable time traveling and volunteering in countries throughout Asia and Europe working with children and families in a variety of educational settings. 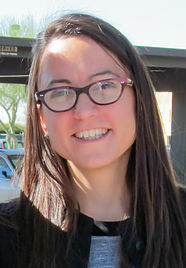 In her role as executive director of Make Way for Books, Jenny is proud to lead a dedicated staff working to ensure that Arizona is a place where all children can succeed in school and in life.